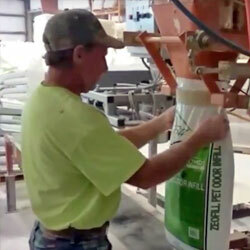 The bagging equipment shown below can quickly and efficiently fill valve bags and open mouth bags with flakes, powders and granular products up to 24 bags per minute. 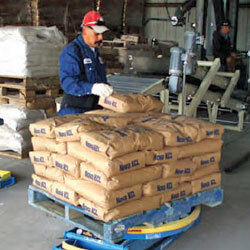 Fill 500 pound to 4,000 pound bulk bags at a rate of up to 25 bags per hour. 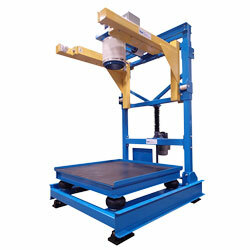 Each bag filling machine can operate independently or as a part of a complete packaging system with conveyors, palletizers, palletizing robots and stretch wrappers. 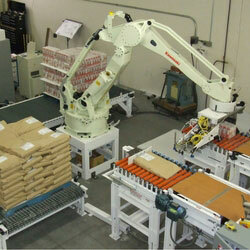 Increased packaging speeds can also be achieved using a palletizing robot. 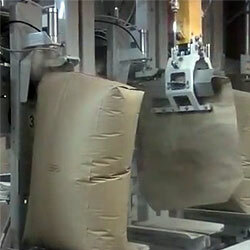 Need to unload big bulk bags into smaller bags? 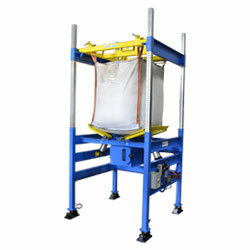 See the bulk bag unloader section below for examples of systems designed to quickly and efficiently discharge bulk material from bulk bags to downstream processes or small bag filling equipment. Contact us to get a fast price quote -or- to ask a question.